COPD or chronic obstructive pulmonary disease is a disease that affects the respiratory system. It is said to be the third leading cause of death in the US. Cigarette smoking is the leading cause of COPD. Other lung irritants like smoke, chemical fumes and dust can also cause COPD. Bronchitis: It is the inflammation of the airway that connects the lungs and nasal passage. Emphysema: It is the damage of small air sacs present in the lung that help filter the air and absorb oxygen. Inflammation of the airway leads to accumulation of mucus and narrows the airway thus causing difficulty in breathing. Coughing, green sputum and recurrent infections are some of the symptoms. It is a progressive disease which can further lead to pneumonia, lung cancer, and heart disease. However, the condition is treatable and includes lifestyle changes like quitting smoking and using bronchodilators and steroids. 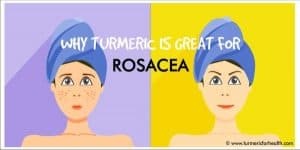 Turmeric is a spice native to India and has been a herb that is revered in traditional medicinal systems like Ayurveda. 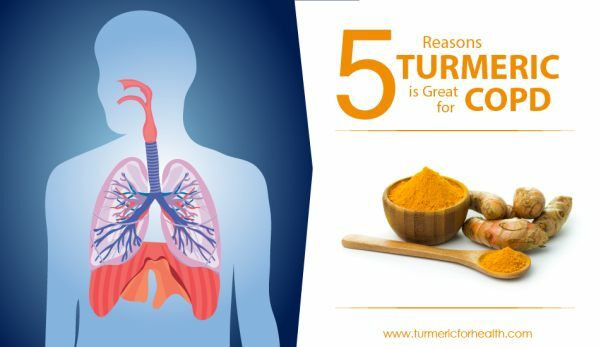 This article goes over the scientific evidence that suggests that turmeric can help with COPD. How can turmeric help in treating COPD? Turmeric milk is one of the age-old remedies that is very popular in India which suggests that turmeric is useful in the treatment of respiratory disorders. One of the most important pharmacological properties of turmeric is that it is an anti-inflammatory agent. Inflammation is generally an immune response when body if fighting an infection or repairing tissue. But most illnesses also give rise to inflammation which needs to be controlled and treated. Curcumin displays anti-inflammatory effects by lowering the activity of inflammatory enzymes likes COX-1,2 or preventing the production of inflammatory chemicals like tumor necrosis factor. Inflammation is the characteristic feature of COPD and cigarette smoking is one of the leading causes of COPD. Certain compounds present in cigarette smoke activate a protein called nuclear factor-kappa B which controls the entire inflammation process. Studies show that curcumin inhibits the activity of this protein in normal as well as cancerous lung cells. Emphysema is a common condition of COPD. An animal study was conducted where emphysema-like condition was induced by exposing animals to cigarette smoke or allergen. Oral curcumin was found to reduce emphysema, inflammation, and migration of immune cells to airway within 10 days of administration. A number of studies suggest that turmeric can serve as a potential natural anti-inflammatory agent in treating airway inflammation. Curcumin nanoparticles are also proven to reduce inflammation in respiratory disease. Turmeric reduces inflammation and emphysema both of which are the main features of COPD. COPD is also characterized by oxidative stress which is an imbalance between prooxidants and natural antioxidants found in the body. The gaseous phase of cigarette smoke also contains radicals like superoxide radicals, hydroxyl radicals, and hydrogen peroxide which cause oxidative damage and give rise to inflammation. Curcumin acts as an antioxidant and it scavenges free radicals as well as raises the concentration of antioxidant enzymes and thereby alleviates oxidative stress. Its role as an antioxidant has been implicated in the treatment of COPD. Turmeric reduces oxidative stress in COPD and elevates the level of antioxidant enzymes. Corticosteroids are often recommended in the treatment of COPD. However, individuals tend to develop resistance to them. An enzyme known as histone deacetylase-2 plays an important role in inflammation. This enzyme manipulates the activity of nuclear factor kappa B which in turn controls inflammation. Steroids affect histone deacetylase in order to control inflammation but the activity of these enzymes is altered due to oxidative stress in COPD. This renders steroid ineffective. Curcumin works like an antioxidant and reverses this resistance. Studies show that curcumin increases the activity of histone deacetylase-2 enzyme which was impaired by cigarette smoke and improves steroid sensitivity. A clinical trial was conducted to assess the safety and efficacy of curcumin as an add-on therapy for bronchial asthma. Two groups were made where one received only standard therapy and the other received standard therapy and curcumin for 30 days. Curcumin capsules were efficacious in reducing airway obstruction and were well tolerated. Curcumin reverses the resistance to steroid treatment in COPD patients. There is not enough evidence showing that curcumin reduces airway obstruction in COPD but the same phenomenon has been studied in relation to other respiratory diseases like asthma. In animal models of chronic asthma, curcumin is found to reduce the accumulation of immune cells to the airway, reduce inflammation and alleviates the obstruction and the narrowing down of the respiratory passage. These studies suggest that curcumin can be developed as nasal drops to prevent airway inflammation and bronchioconstriction. Turmeric is proven to have a mild expectorant effect which is useful in treating chronic airway disease. It also alleviates nasal congestion. Turmeric oil is useful in removing mucosal secretions, relieving cough and reducing breathing distress. Curcumin has the potential to being developed as nasal drops which can clear congestion and blockage of respiratory tract. The research paper titled ‘Curcumin inhibits COPD-like airway inflammation and lung cancer progression in mice’ particularly focuses on the therapeutic use of curcumin in COPD. Apart from cigarette smoke, a bacterial infection by Hemophilus influenza also contributes to airway inflammation in COPD. In the study, curcumin was included in the diet prior and during exposure to infection. Curcumin reduced the incidence of lung tumors and also reduce the accumulation of immune cells. Additionally, curcumin also reduced the proliferation of lung cancer cells. Turmeric extract is proven to inhibit the growth of common organisms that cause a respiratory infection like Haemophilus influenzae, Streptococcus pneumoniae, Streptococcus pyrogene and Staphylococcus aureus etc. Curcumin reduces the risk of developing cancer in high risk COPD patients and is also effective in preventing infection. The best way to take turmeric is The Golden Paste. It contains black pepper and oil which increases the absorption of curcumin in the body. 1-2 teaspoons of The Golden Paste once or twice a day can help. Read this to get ideas of how to use The Golden Paste. For more details on good have brands of turmeric powder please check this link. 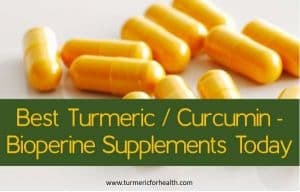 Turmeric supplements should be avoided in case of pregnancy and lactation. Since turmeric is known to mildly increase bleeding risk, it is advisable to discontinue supplements 2 weeks prior to surgery. Avoid turmeric supplements if you suffer from gallbladder issues. Turmeric supplements could possible drug interactions with diabetes medication, blood thinning medications, stomach acid-lowering medicines and certain antidepressants. 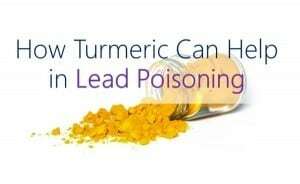 Please consult a doctor before taking turmeric supplements to ascertain right dose. Despite increased awareness of the deleterious effect smoking can have on health, people still seem to indulge in smoking and COPD is one of its harmful consequences. COPD as it reduces inflammation, clears airway obstruction and prevents infection and progression to lung cancer. Consult your doctor before taking curcumin supplements or start including turmeric in your diet. I decided to give turmeric/curcumin a try as I have severe COPD and am amazed at the big difference it made in my breathing with the first pill. It gives me hope I can live a more normal and active life again. Hard to believe and I would have had my doubts if someone told me it worked so well but I tried it and it is, to use that word again, an amazing miracle. I had been a moderate smoker for around 6 years (4 to 5 cigrattes) a day. I am having pain in my chest and stiffness and i have quit smoking but the symptoms are reducing drastically after taking turmeric and i am feeling relieved now. My pain and stiffness is very reduced. For how long should i take it? And i am also suffering from some kind of autoimmune issue as i had been diagnosed to be HLA B27 positive. I have pain and stiffness in my back which is existent from past four years. Hi. 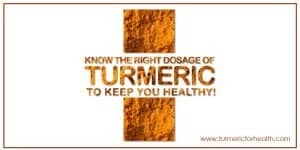 Turmeric is a spice and can be taken for life in diet. It will help attenuate the inflammation and benefit in autoimmune condition as well. You can take Golden Paste. Start with small doses such as 1/4-1/2 tsp and if you see no side effects then increase the dose gradually to 1 tsp 2-3 times a day over a few weeks. Best taken with food to avoid acid reflux. Avoid taking it at the same time when you take meds. You can increase the dose if needed so as to benefit in the back ache. Please consider consulting a doctor as well. In early years, I consulted a doctor he checked me, my chest X-Ray and blood reports and gave me medicines and bronchi inhalers. I tried this allopathic medicine for 9-10 months. But hasn’t worked. Hi, I have Chronic Bronchitis problems from 2-3 years. I never smoked but still caught by this disease. I am a football player so I work out very often. What should I do to stop Inflammation and mucus formation. I am drinking “Turmic Milk with Indian Gensing (Ashwaghandha Powder) every night before bed. Does this drink will help me some how. What more I need to do? Apart from all these I do skippings and physical workouts everyday. But mucus formation happens all day. I am 22 years old. What should I do to stop this or Prevent this? Turmeric milk with ashwagandha powder is very good for relieving congestion and mucus. You could try taking The Golden Paste daily with meals. It contains black pepper and oil to increase absorption of turmeric. Start with 1/2 tsp daily and increase the dose to 1-2 tsp 2-3 times a day or how it suits you. Some individuals are comfortable taking a higher dose. People observe a difference in a week but as much as a month should be sufficient to see visible results. Dairy products can increase mucus problems in many people. You could try using almond milk or your preferred non dairy alternative to make your golden milk. I also agree that adding extra doses of golden paste throughout the day will improve effects drastically. I have COPD and have a dreadful cough which is debilitating. I have had antibiotics and steroids from my doctor over a period of 6-7 months, have been taking GP for months now, have just read the above article and have to state categorically that GP has NOT helped at all. I have Myasthenia Gravis do you think it could help in any way. Check out Huperzine A supplement also (my mom has had MG for decades – was really really bad). This supplement has helped a ton. She was unable to drive due to droopy eyes and double vision for years – but can now drive and looks better than ever. I hate to suggest things sometimes — but I know how difficult this disease can be. I have been giving this to a horse for about a year now, she was so bad vet thought she should be put down. She only gets the turmeric mix and runs like the wind. No signs or breathing issues at all! God gave us the herbs and oils to use so I totally believe!!!! Hi Cindy, A friend of mine has a horse who has been poorly…could you suggest a dosage for a horse please?